They first got familiar with each other in cyber space. But never met face to face until their handshake Wednesday afternoon. 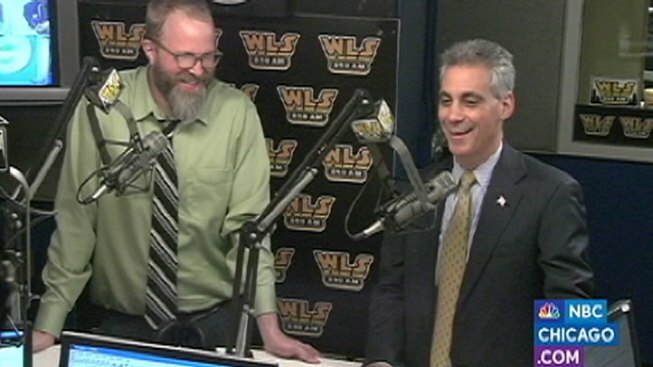 "Relax man," urged Mayor-elect Rahm Emanuel during the dual appearance on WLS radio's The Roe Conn Show with Richard Roeper. 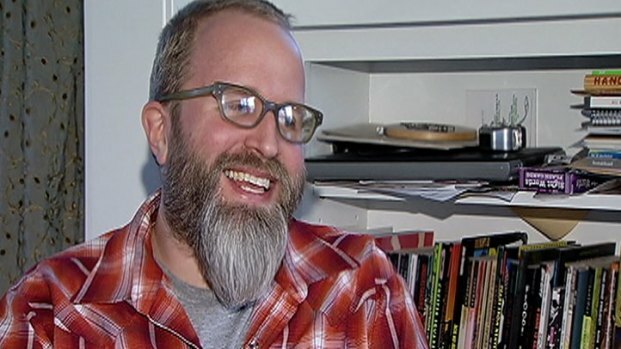 "I am so not relaxed,” replied Dan Sinker, a Columbia College Journalism Professor who achieved fame and about 40,000 Twitter followers before The Atlantic magazine outted him this week as the brainchild of @MayorEmanuel. "I always knew this story was ending with the election... and all of you media people made it stressful to stay hidden," said Sinker. 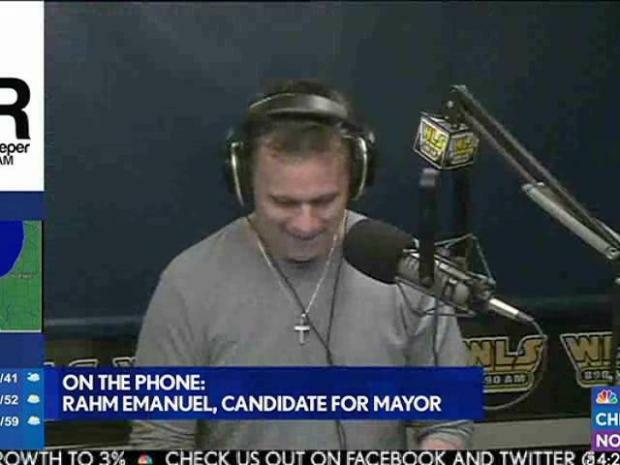 Emanuel expressed appreciation to Sinker during their brief get-together for lampooning his run for mayor with a running profanity-laced commentary. But he also used the appearance to show that Sinker isn't the only guy in the room who likes to poke fun at Rahm Emanuel. In a sit-down interview, Dan Sinker -- @MayorEmanuel on Twitter -- talks about when he realized he was doing "a thing" and how it all came to an end. When asked to cite his favorite Tweet of @Mayor Emanuel, the Real McCoy jokingly replied: "There's nothing I can say on the air. But there are many times where I said, my sentiments exactly." The radio show appearance also fulfilled some serious business. In February, then-candidate Emanuel told the show hosts he would donate $5,000 to a charity of the then-masked writer's choice when the election was over and the Tweeter was identified. That same charity will get another $5,000 donation from Causes.com, which decided to match Emanuel's contribution. Rahm Emanuel has an impostor on Twitter and offers $5,000 to a charity of that person's choice if they reveal their identity after the election. Sinker chose Young Chicago Authors, an after-school program for Chicago Public School students. With a matching donation made by Causes.com and $1,000 thrown in each by Roe Conn and Richard Roeper, the charity received more than $12,000. All of it was a total surprise to Debbi Welch, the president of the board of directors of Young Chicago Authors. "This is phenomenal. I'm still on 'Cloud 9.' I probably will be for days," she said. Welch said she had no idea Sinker planned to recognize the 20-year-old Chicago charity until a friend called her with the news. She said the charity certainly deserves the money for all its work with teens. It reaches about 3,000 students annually, whether it be though writing workshops or open mike workshops. "We have kids in our program that without bus passes can't get to our programs," she said. As of this post, Welch said she had yet to be able to make contact with Sinker in order to thank him. She said she didn't know how to reach him. When it was jokingly suggested she use Twitter, she laughed and replied she doesn't yet have an account.